Hey, guys! There was an fantastic event at the Kent County Public Library today. 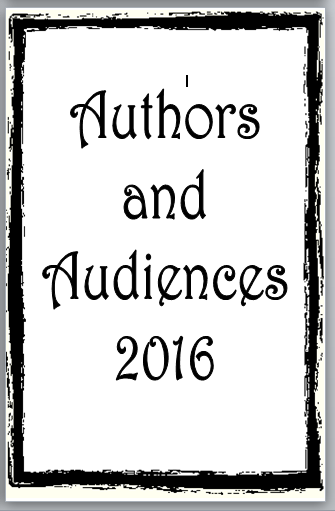 The (I believe) 9th Annual Authors and Audiences. We had lots of wonderful authors and illustrators there, had panels for various aspects of writing/publishing, and I got to meet best-selling author Jeri Smith-Ready! Whoo hoo! Check it out! Besides meeting Jeri, and being fascinated by her publishing journey, and her books, I was able to spend some time with some wonderful folk – authors I’ve known for a long time (nods at Christy Shaffer) and some I just met today. Among them was Mark C. Collins, and he writes children’s books. I read one and was impressed. Seriously, if you have little ones, check him out! Thanks to Hilary Welliver for all her work in putting this grand event together, and for the staff at the library (especially Michele Lapinski, who I saw running around constantly taking care of so many little details)! 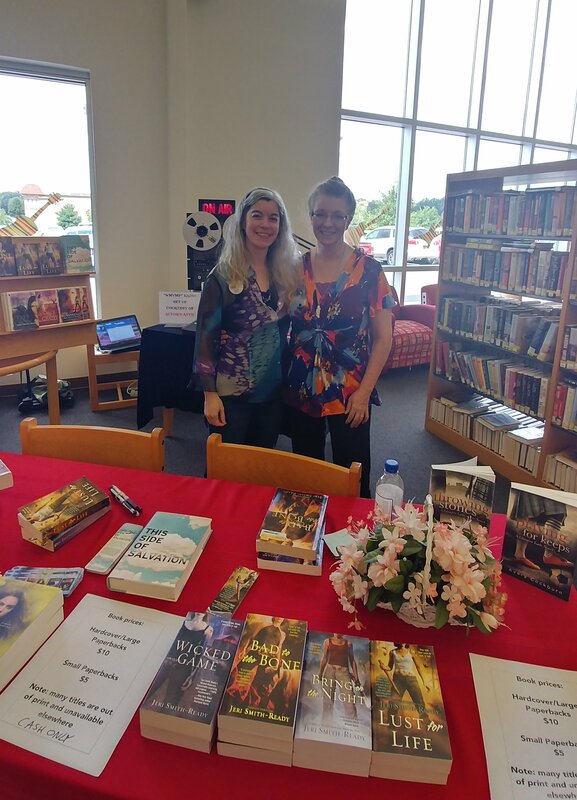 I had a great time at the Authors and Audiences event at the Kent County Public Library yesterday. Since I didn’t have a minion to stay at my table and acted as minion for several others, I didn’t get to hear Mindy Klasky speak, but we chatted a bit and she was so personable and encouraging. I also got to see some friends: Christy Shaffer, Liz DeJesus, (and meet her mom – who is so lovely, now I see where Liz gets it from! ), Kristen Corbett, Kenneth Straws, and Jason Mears. And it was great to see a fellow author I hadn’t seen since an event early last year: Will Hahn! Also thanks to friends who work at the library: Kristi Rinkenberg and Hilary Welliver for all your hard work in putting this event together every year. The Annual Kent County Public Library’s Authors and Audiences event! You are cordially invited to attend Kent County Public Library’s sixth annual Authors and Audiences event on Saturday, April 16 from 1-3 pm! We are excited to present so many local authors and give you the opportunity to meet with them. The books the authors have on display are for sale. Don’t hesitate to ask for a signed copy – they would make perfect gifts, too! At 2:00 that afternoon, USA Today Bestselling Author Mindy Klasky will be giving a presentation. Ms. Klasky is the author of multiple short stories, nonfiction essays, and novels including The Glasswrights’ Apprentice, which was discussed in libraries across Kent County this Spring. Please be sure to visit the conference room during your stay for some refreshments provided by the Friends of Kent County Public Library. Don’t forget, tomorrow (Saturday, 18 April) is the fifth annual Authors & Audiences at the Kent County Public Library. Over twenty authors will be there from 1 – 3 p.m. Come on by! It’s the perfect chance to meet authors and buy signed copies of our books. Also, Luis Carlos Montalvan, New York Times best-selling author of Until Tuesday: A Wounded Warrior and the Golden Retriever Who Saved Him will speak at 2 p.m.